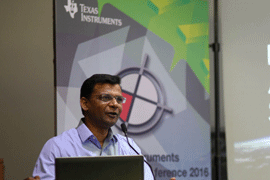 Bengaluru, February 25, 2016: ‘Exploring New Territories’ was the theme for Texas Instruments India Technical Conference (TIITC) in its 19th edition. Open to all TI employees, TIITC is an annual event that serves as a platform for the engineering community at TI to come together and exchange best practices in innovation, execution as well as research and methodology at a global level across various technologies. 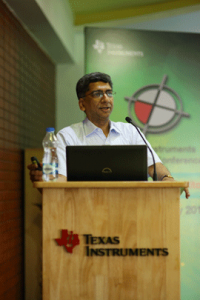 Stalwarts from the industry are invited to share their perspectives with employees and this year Rahul Narayan, Co- Founder & Tech Lead, Team Indus and Prof. Anurag Kumar, Director, IISC were the key note speakers at this two day event held on February 24 & 25 at the TI Bangalore campus.